Please note: No internal connecting door between ground floor and upper floor. Non-smoking house. detached house, 5 people, 4 room/s, 3 bedroom/s, 1 bathroom/s, approx. 70 m², 2 floor/s. Bedroom 2: (floor 1, roof pitch, room with external access only): 2 x single bed (0.90 m wide, 2.00 m long), exit to balcony. Bedroom 3: (floor 1, roof pitch, room with external access only): single bed (0.90 m wide, 2.00 m long), exit to balcony. Kitchen: Kitchen/ cooking equipment: 4 ceramic hobs, oven, microwave oven, dish-washer, refrigerator, coffee machine, water boiler, toaster, freezer approx. 50 litre. in the living room (ground floor). Living room: (ground floor): furniture suite, fireplace. 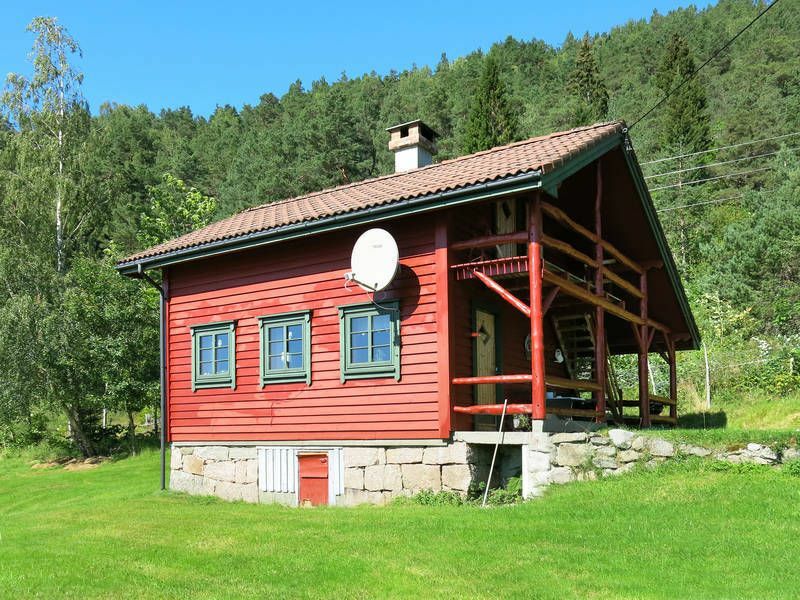 Estate: (private use): open plot, in a hillside, meadow, fruit trees. Outdoor facilities: (private use): terrace (roofed), balcony (roofed), reserved open space (roofed), furnishing provided, transportable barbecue. Situation: in the hamlet, rural Målsnes, altitude 41 m, fjord view, view of Sognefjord. Arrival: Airport Bergen Flesland in approx. 215 km. Ferry port Bergen in approx. 198 km. Train station Voss in approx. 104 km. Beach/waters: Fjord in approx. 300 m (Sognefjord). Bus stop: Bus stop in approx. 275 m (Målsnes). Nearest neighbour: Nearest neighbour in approx. 70 m.
Next village/town: Center Balestrand in approx. 10 km. Høyanger in approx. 36 km. Sogndal in approx. 57 km. Shopping: Next shopping possibility (Balestrand) in approx. 10 km.